Please note: Due to life-threatening allergies, please do not bring any type of nut or fish product with you to this building. Please share this message with anyone else you might invite to this office, in order to ensure a safe environment for all. Beaches Employment and Social Services provides drop-in services and resources to help you during your job search, and issues financial benefits through Ontario Works. TTC Directions: From Queen subway station, take the Queen streetcar eastbound or from Coxwell subway station take the 22 Coxwell South bus to get to 1631 Queen St. East. 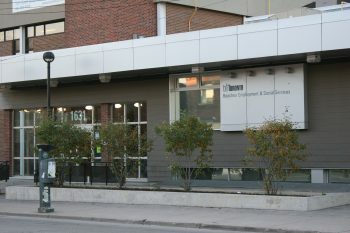 Housing worker is onsite every Thursday morning from 9 a.m. – noon to help with subsidy applications, finding affordable housing, and housing resources. A Law Student is on-site every third Friday of the month, 1:30 – 4 p.m. to provide education on the requirements for having a criminal record suspended.